AIIMS 2019 Admit Card is releasing on 15th May 2019. The exam is managed by the All India Institute of Medical Sciences (AIIMS), New Delhi. This exam is conducted for providing admission to the MBBS programme in AIIMS Institutions. It is a national level entrance test. Through this exam, candidates can get admission into nine AIIMS Institutions located in New Delhi, Bhopal, Rishikesh, Patna, Jodhpur, Guntur, Nagpur, Raipur & Bhubaneshwar. In this article, we are providing complete information about AIIMS 2019 including the admit card, exam pattern, syllabus, etc. Candidates can fill their AIIMS MBBS 2019 Exam City Choices between 5th to 9th April 2019 through login. Click here to fill exam city choices. 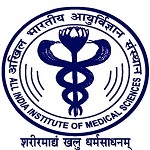 AIIMS MBBS 2019 Admit Card is releasing on 15th May 2019. Check here for admit card details. AIIMS MBBS 2019 Revised Exam Schedule has been released. Check here for exam dates. AIIMS MBBS 2019 Code Generation & Final Registration Facility has been re-opened. Check here for registration details. In this section, we have included information about admit card releasing mode, date, details, etc. The AIIMS 2019 admit card will be hosted for all the eligible candidates through online mode on the official website. Candidates may download it from 15th May 2019. The university will not send the AIIMS hall ticket through the postal system. No candidates will be allowed to enter in the examination hall by personal appearance without a valid admit card. Candidates also have to bring a valid ID proof (Aadhaar Card/Voter ID/Passport/12th Class Board Admit Card) and one photograph. Mode: AIIMS entrance exam will be held in online mode (computer-based test). Shifts: The examination will be organized in two shifts, i.e. 9:00 AM to 12:30 PM (Morning) & 3:00 PM to 6:30 PM (Afternoon). Duration: The duration of the exam will be 3½ hours. Language: The question paper will be provided either in English or in Hindi. Number of Questions: Total 200 multiple choice (objective & reason-assertion) type questions will be asked in the exam. Subjects: The questions will be asked from Physics, Chemistry, Biology and General Knowledge/Aptitude. Marking Scheme: Each correct response will get a score of one mark. Negative Marking: Each incorrect response will get a score of – ⅓ mark. There will be no prescribed AIIMS syllabus for the examination. Candidates will study from the 12th class under the 10+2 Scheme/Intermediate Science syllabus. It comprised of Physics, Chemistry, Biology (Botany & Zoology) and General Knowledge/ Aptitude. Physical World and Measurement, Kinematics, Laws of Motion, Work, Energy and Power, Motion of System of Particles and Rigid Body, Oscillations and Waves, Behaviour of Perfect Gases and Kinetic Theory of Gases, etc. Make a time schedule & divide equal time for each subject, i.e. Physics, Chemistry & Biology. Prepare from the class 11th & 12th NCERT books & other study material. Try to solve last year’s question papers & sample papers. Apart from the main subjects, you can also be updated with current affairs for the GK section of the examination. Practice & Prepare for Online mock tests. Take break time while preparing for the examination. Question: Where can I get the prospectus & an application form for AIIMS MBBS 2019 exam? Answer: The application & prospectus is available only through online mode from the website. Question: Do I have to indicate choice of AIIMS Institutions during application filling? Question: Can I modify my choices of the City/Centre of Examination after last date? Answer: No. Correction is not allowed in the city/centre of examination once chosen. Question: What are the documents required to be uploaded with the application? Answer: No documents are required to upload during application procedure. You only have to upload images of your photograph, signature & left hand thumb impression. Question: Can if fill the application after last date? Question: I have a caste certificate/ birth certificate/Other certificates in regional language. Will it be acceptable at the time of admission? Answer: The certificates issued by the competent authority should be in Hindi or English language. Question: How many times can I appear for AIIMs examination? Answer: There will be no limit to the number of attempts for AIIMS examination. Candidates will view their results only through online mode on the official website. The AIIMS 2019 result can be checked on 12th June, 2019. Check below for some other details, including result releasing date, preparation of merit list, etc. The AIIMS 2019 results will also publish in other six AIIMS website. The university will not communicate on phone or other means individually regarding the result declaration. The results for each shift will be made in the form of Percentages, Raw Scores & Percentiles (upto 5 decimal places) separately for each of the subjects & the total. List of the candidates, those qualify for the counselling will be published in the second week of June 2019. The merit list will be prepared on the basis of the result & percentile scores of the examination. It should be prepared separately as Common Merit List, Scheduled Caste candidates list, Scheduled Tribe candidates list & Other Backward Classes candidates list. To appear in the counselling, candidates should download the counselling letters from the official site. In each category, the total number of candidates will be called for counselling 4 times the number of seats available in each category. The AIIMS 2019 counselling will be organized through offline mode. It will be started from the first week of July 2019. Candidates have to bring their documents/certificates in original at the counselling venue for verification. It is compulsory for all candidates to present in the counselling physically. In the counseling process, the seats will be filled by open (UR) category candidates first. In this section, candidates can get information about AIIMS registration, application releasing date, mode, fee & many more. Candidates, those seek admission into MBBS course, they can fill application through online mode. From the year 2019, PAAR registration facility has been announced. The registration can be done in two parts, i.e basic registration & final registration. AIIMS basic registration has been started from 30th November 2018. In basic registration, candidates are able to fill their basic details and upload images. Upload scanned images of the Photograph (Size: 50 KB to 100 KB, Dimension: 3.5 cm x 4.5 cm), Signature (Size: 20 KB to 100 KB, Dimension: 3 cm x 6 cm) & Left hand thumb impression (Size: 20 KB to 100 KB, Dimension: 4 cm x 3 cm) in a jpg/jpeg/gif/png format. In final registration, candidates have to fill the remaining details and pay the application fee. Save print copy of the downloaded application form/registration slip for admission purpose. There will not need to submit the application/registration slip to the officials via offline mode. The application fee is Rs. 1500 for GEN/OBC (Creamy & Non-Creamy) categories. For SC/ST category, the fee is Rs. 1200. Fee payment can be done during the final registration. Candidates will deposit the application fee through Credit Card/Debit Card/Net Banking. After the form submission, the correction/amendment/rectification/editing will not be allowed in these fields such as Name, Date of Birth, Category and Exam Center. The correction in other fields is only allowed before the last date of registration. Candidates can make a correction in these fields such as Father’s Name, Mother’s Name, Nationality, Gender, Marital status, etc. Correction in uploaded images will not be permitted. OCI & Foreign National candidates are also eligible. Age Limit: The minimum age limit should be 17 years as on 31st December 2019. Qualifying Exam: Passed class 12th (under 10+2 scheme)/SSC examination (CBSE) or Intermediate Science (ISc) or its equivalent examination. Subjects: Pass the above qualifying examination with PCB & English subjects. GEN/OBC & OCI Candidates Score minimum 60% aggregate marks in Physics, Chemistry, Biology & English subjects. SC/ST/OPH & Foreign Nationals Candidates Score minimum 50% aggregate marks in Physics, Chemistry, Biology & English subjects. Note: Candidates, those with CGPA grades, they can apply with conversion factor in the application. It should be approved by their respective examination board. If you have any query about AIIMS 2019, you can ask us by leaving your comments in the comment box. I have passed 57% of 12th sci. Can i eligible for aiims exam. are NRIs in canada eligible for exam and how shall the exam centre be arranged? It will be provided on the basis of filled choices of exam centre and availability of seats. Sir,i belong from General OPH category i have scored 95 in bio, 73 in physics, 72 in chemistry and 89 in english am i eligible for aiims 2019? Your aggregate of PCB should be 60%. Your PCB marks should be 60%. am I eligible for AIIMS 2019…? i want to see my individual score card of 2018 aiims but i forgot the password details and when i am clicking on forget details of login a window gets pop up showing to fill email ph no. Etc n afterthat when iam filling all my details properly its showing the admin has blocked your id or incorrect details please help me how to change aiims 2018 passwrd. Hlww sirr my dob is 2002 sir i need to knoww that amm appearing in class 12th right now so can i eligible for AIIMS exam next yearr. How many attempt in aiims ug exam ? There is no attempt limit. i passed 12th sci. with 55% in 2018. can i apply for aiims in 2019? No you are not eligible as per your percentage. Sir,i have passed 12th by 62%. I have scored 56% in PCBE subject. I was eligible for the aiims 2019 exam?? 60% should be in PCB subject. Hello sir i have passed class 12th with 62% in ( physics = 36, chemistry =54, biology = 57, and English =69) in 2018. I am of SC category, can i appear for AIIMS, and NEET in 2019?….waiting for your answer. Your aggregate should be 55% of PCB. In 2019 I will be more confident for be the AIIMS topper , I wish my dream for AIIMS would be fulfill ,I need some guidance from toppers so please give me reply by giving me suggestion . For aiims 2019 , i will be 18 years old. In net, eligibility criteria (Age criteria) it is 17 years as December 2019 is given . If i passed in aiims 2019(suppose) will i be eligible for admission? Yes, you will be eligible. Maine 12th 2016 me pass Kota per mere 56% aye the obc category sir Mai 12th dubara repeat Kar rha hu 2018 me Maine private form bhar diya hu kya Sir Mai appearing me aimms kA form bhar sakta hu ki nhi? No, you cannot appear for this exam. Sir,I passed 12 the board exam with sum of 72% in odisha board.my English score 57, physics 79, biology 94 & chemistry 59. Can I eligibile for AIIMS exam,plz give a confirmation Sr.
Can nios students appear in neet & aiims ?? I scored 60 in phy and chem both and 78 in bio , 78 in eng. can I give AIIMS EXAMINATION 2019 ? Sir, I have 50% marks in +2SC,But this medical exam requires 60%, SIR I am very interested for study medical science, can I apply for this exam, give me one chance Plz. I try to my best, sir I am waiting 3 Years but I can’t apply. For this exam your aggregate should be 60% marks. How many attempts are there for aiims entrance exam? I passed 12th with pcmb group can I eligible. The cut off may vary. It cannot be predicted earlier. Sir do nios students can appear in aiims 2019?? And do they apply for mbbs?? I have 59.6% in 12th. Am i eligible for aiims 2019? It should be completed 60%. No rounding-off will be considered. They said AIIMS is only for female candidate. Is it true? So I missed the chance in 2018 form fill up. Please help. Not true. Anyone can apply for AIIMS MBBS. It is given in the article. Go through it. mera 12th me english me 42 aya hai baki pcb me 50 se above aya hai main ST hoon kya main aiims exam de sakta hoon? will i need to go for improvement. Now, the year in 2018-19 I am in class 12 .so can I will appear for NEET and AAIMS 2019???? I got pass 12th by 57.33 but I gave papers to rechecking ..will I eligible for aiims ? Is there any limit for the number of attempts in AIIMS entrance exam ?…. What should be the rank and what score I must have to get admission in AIIMS Delhi. The cut off marks may vary each year. For the reference you can check this year cut off marks. I cleared 12th class but biology is my optional subject can i eligible. I passed 12th this year with an aggregate of 61.66 in PCB. But I want to give improvement in Phy and Chem. Will I be eligible in both NEET and AIIMS 2019 if I give improvemnt ? And also will 61.66 aggregate be good enough to get seat in a gov. Medical college through neet 2019. Yes, you will be eligible now and after imrovement too. Does aiims exam will carried out in particular college of particular city? Yes, exam center will be allotted to the candidates. 60% marks are required in PCB together or PCB+ ENGLISH? I mean we have to score 60% marks in PCB OR PCB+ ENGLISH? I have only 58 marks in chemistry from BSEB board and rest of the sub have more than 60. Am I eligible for aiims 2019. I belong to obc. Now i am in BSC nursing 1st year, so is there any problem for me to write this exam? I am in 12th now with PCB but with hindi of 100 marks. Will it create any problem for me? I cleared my 12th in my second attempt , am I eligible . PCB group is compulsory to appearing aiims. My birthdate is 29 December 2002.Can I appear for aaims 2019? How many times i can attempt for aiims exams? Till you will fill its eligibility criteria. Are we eligible for MSC. Biotechnology in AIIMS? Could you please share the link for AIIMS 2018 application form? Check this link: AIIMS 2018 Application Form.